Joseph Ankrah served as the Ghanaian chief of defence staff before he took over from Kwameh Nkrumah. He was the second head of state from 24 February 1966 to 2 April 1969 but later died on 25 November 1992. Nii Ollennu was an interim president of Ghana who was inaugurated into office on 7 August 1970 as an acting president and his term ended on the 31 August 1970. At that time, he was also the Chairman of the Presidential Commission. Edward Akufo Addo was inaugurated into office on the 31 August 1970, his tenure ended on 13 January 1972 and he died on 17th July 1979. 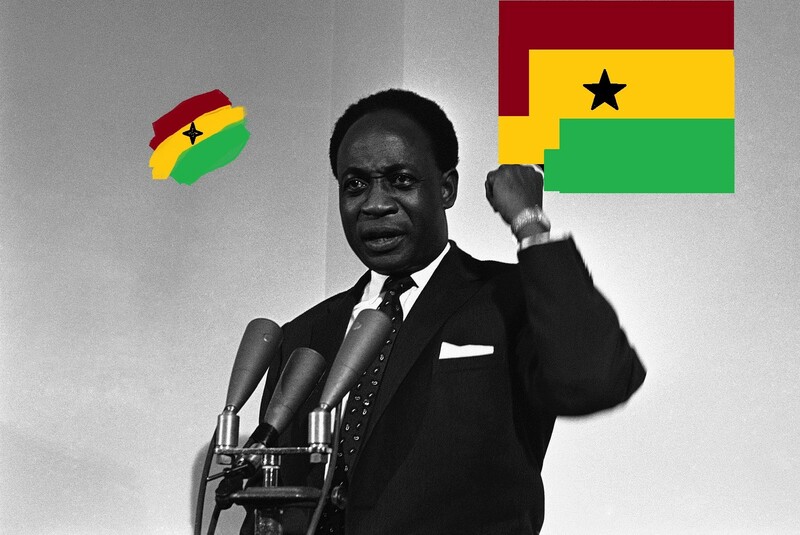 He was one of the founding fathers of Ghana who fought for the country’s independence. Acheampong ruled as the military head of state of Ghana. He was executed in June 1979 together with some other former heads of state for involvement in a coup d’état. Years of Service: July 5, 1978 – June 4, 1979, under the military regime. Lieutenant General Frederick William Kwasi Akuffo was a soldier and politician. He is a former Chief of Defence Staff of the Ghana Armed Forces and the chairman of the ruling Supreme Military Council (SMC) in Ghana. He came to power in a military coup, was overthrown in another military coup and executed three weeks later. His rule lasted for a year. Rawlings took over power after a coup d’état in 1979 and was inaugurated on 4th June 1979, he later handed over power to civilians on 24 September 1979. Rawlings later took over power the second time on 31 December 1981 until 7th January 1993. Rawlings and the soldiers around him were the pioneers of Armed Forces Revolutionary Council (AFRC) that led to the “a housecleaning exercise”, that purge Ghanaian society of all the corruption and social injustices that they perceived to be at the root of their coup d’état. Limann was elected, as well as deposed in a military coup led by Jerry Rawlings on December 3, 1981, this was the only president of the third republic of Ghana. After serving the country for two years, Hilla Liman turned diplomat and served in Switzerland. He eventually died of natural causes on January 23, 1998. John Kufuor became joined the list of presidents of Ghana after the Jerry Rawling’s second tenure. Kufuor victory marked the first peaceful democratic transition of power in Ghana since the country’s independence in 1957. He was inaugurated as head of state on January 7, 2009, his term ended on July 24, 2012, which was actually the day he died, making him the first Ghanaian head of state to die in office. Years of Service: July 24, 2012, to January 7, 2017. Before he mounted the seat as one of the presidents of Ghana, Akufo-Addo served as Attorney General (2001 – 2003) and also as Minister for Foreign Affairs (2003 – 2007). He has aspired for the presidency since 2008 and lost twice but finally defeated Mahama in the third attempt, on January 2017, winning 53.85% votes in the first round, an unprecedented defeat ever for the first time in the history of Ghana.